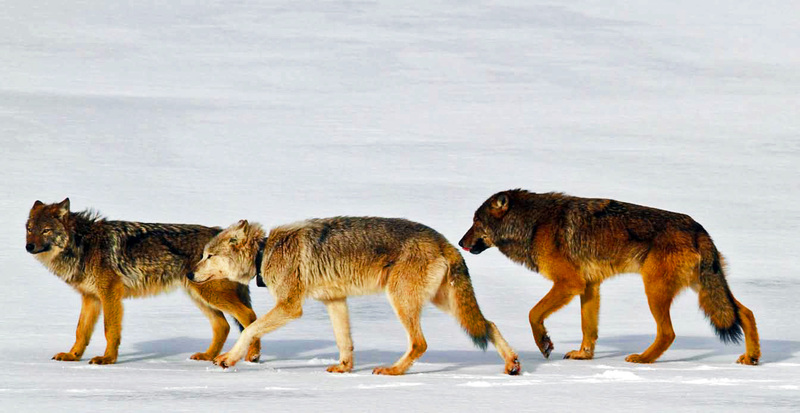 The real lessons learned from the inbred population of wolves at Isle Royale, Michigan. Old Gray Guy is the large light gray wolf in the middle of this pack. The authors of that study talk about the ecological factors that could have prevented the genetic rescue from happening. Those factors would indeed mask any benefit from outcrossing. This is a very small, very inbred population of wolves. It was suffering the effects of an inbreeding depression. An outbred wolf from Ontario shows up. When he mates with a local female, more of his puppies survive than the native inbred population. He winds up siring a large percentage of the a few generations of the wolves on the island, and because those are also quite outbred, they have better ability to swamp the gene pool. They are just better at surviving to pass on their genes than the pups born to the inbred population. This effect would be even more extreme if the prey population happened to be in decline. The outbred wolves may have had certain advantages from heterosis that kept them from succumbing to the stresses of famine. He becomes like a popular sire within a closed registry breed– in fact, even more extreme. Whatever benefits could have come from outcrossing are lost in this extreme natural version of the popular sire effect. If more than one wolf had come across from Ontario and contributed genes to the Isle Royale wolf population, one might be able to make generalizable statements about genetic rescue. And maybe if several wolves had arrived at the same time as a moose population boom, things might have been different. 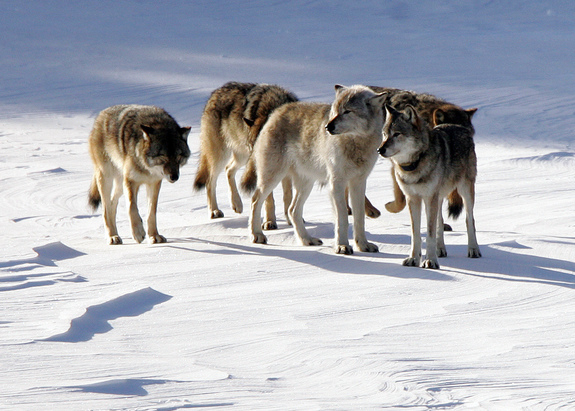 If Old Gray Guy hadn’t arrived, these wolves may have gone extinct already. His genes may have not have rescued them fully, but it is likely they ameliorated some of the worst effects of the inbreeding depression, preventing the population from collapsing entirely. Isle Royale is an unusual place, but because of its size and isolation, it is a good place for scientists to design experiments about ecology and population genetics. However, because it is so unusual, one cannot make such broad generalizations about the findings of many studies performed on the island. We have seen genetic rescue save the Florida panther. Eight Texas cougar queens were released in South Florida in 1995. Five of the queens had litters and then were sterilized. The health and genetic diversity of Florida panther is now much better than it was before. The population has risen from about 24 to nearly 100 individuals. The population still remains isolated, and there can still be threats of an inbreeding depression in the future. No new genes are likely to come into Florida any time soon. But genetic rescue works in certain situations. But it won’t work with just one male individual entering the population when the population of the prey species is in decline. Genetic rescue requires more individuals and relatively productive ecosystems to work. That’s likely why it worked with the Florida panther and not with the wolves of Isle Royale.